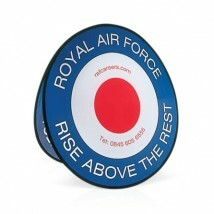 Great Value for Money | 1000's Sold | Tried and Tested Reliability. 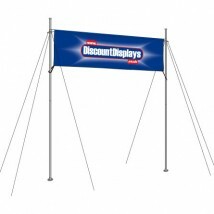 Available in a selection of banner display sizes, our banner frames are a great way to display your message at outdoor events. 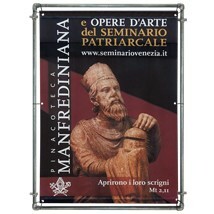 If you want to promote your marketing message using custom printed outside banners and advertising banners our banner frames are ideal. 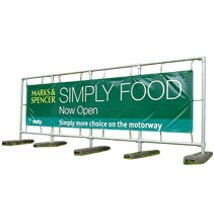 Portable or permanent, make it easy; call our banner frame experts on 0844 800 1020 for free advice. 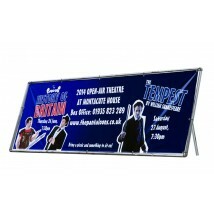 All our outdoor and indoor banner event frames displays have been chosen to ensure the frame is made from high-quality material. 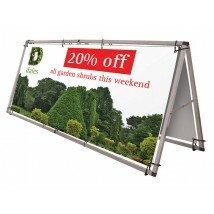 Portable banner frames are ideal for promoting golf days, sports events, county shows, conferences, motorsport, fundraising, marathons, county shows, fairs, fetes or anywhere else where you need to display an outside banner with impact. 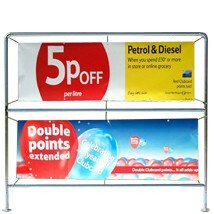 These banner frames are complemented by our fantastic range of high-quality durable PVC or vinyl banners. 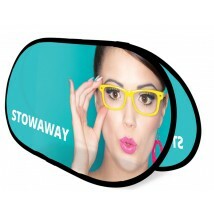 Our banners are digitally printed and finished at our in-house studio to ensure vibrant, full-colour results. Not only does this mean we can control the whole banner printing process, but also means we can provide a banner design service if you don't have print ready artwork. 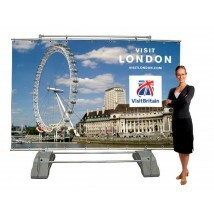 Vertical banner frames and portable banner systems available fast from Discount Displays. 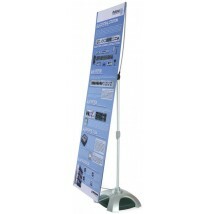 We have a large range of banner frame sizes and we have chosen our range to make sure they are easy to use and great value for money. 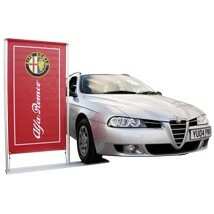 We have been producing banners for banner frames for every type of business and all manner of industries. 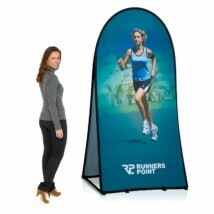 This has allowed us to perfect our outdoor banner printing techniques and our print team can work with you to ensure the best possible end result. 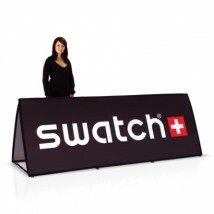 Our range of event branding equipment is constantly expanding so if you don’t see what you want please call us on 0844 800 1020. 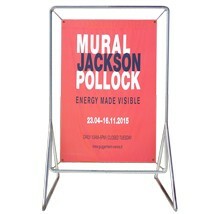 You may also be interested in our range of PVC banner printing, event signs, feather flags, pavement signs, outdoor sign holders and event furniture.